The camera is a fashionable WiFi camera which has offer monitoring,motion detection, alarm,C280 wifi camera can be widely applied to family, hotels,restaurants, office, shops,warehouse etc. It has latest CODEC compression technology that combines features of high resolution, low Internet traffic, quick startp and steady operating also support local and cloud storage. Video: H.264 CODEC, 720x576 image resolution. 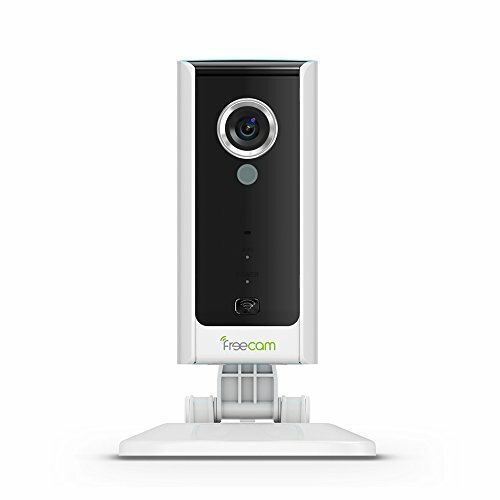 Recording Video: Support , select"24h"or"when abnormal detected"
【Warranty & Support】One-year product warranty and 24-hour service call (8665788872) to answer questions about the freecam wifi camera from you!